We have defended and prosecuted countless litigated matters and have extensive experience in all aspects of litigation up to and including trials and appeals. We have successfully advocated our clients’ interests in jury trials, court trials and arbitrations. 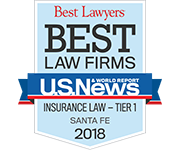 Our insurance coverage practice focuses on providing coverage analysis and advice and litigating insurance coverage disputes. This practice area includes declaratory judgment actions, recovery actions, extra-contractual defense, and errors and omissions defense. We engage in all forums in negotiating and settling coverage related claims. We often take the lead counsel role in multi-party matters. For decades, we have defended insureds under general liability, errors & omissions, homeowners and auto policies in a wide variety of suits covered by those policies. This has included employment cases, construction cases, defamation and disparagement cases and contract matters. In this practice area, we specialize in matters which involve complex issues of law concerning policy interpretation. The focus of many cases is on the sufficiency of the investigation, coupled with application of numerous policy provisions. We routinely handle cases based on alleged fraud by the insured. The partners are available to be retained as consultants and/or expert witnesses in insurance bad faith and coverage matters. They are prepared to offer claim handling analysis in addition to “second opinion” consultation when coverage counsel is already involved. 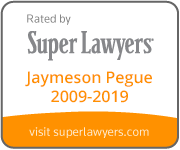 Jaymeson Pegue is a certified mediator. 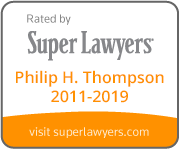 Pegue & Thompson brings a wealth of experience in civil litigation and insurance coverage matters. The partners have worked together as a team for almost 35 years, and have extensive trial and appellate court experience. They are well versed in using Alternative Dispute Resolution, having participated in hundreds of mediations, binding arbitrations and settlement conferences. They practice in all California Courts, New Mexico Courts, and U.S. District Courts and Courts of Appeal. They are dedicated to serving their clients by providing the highest quality legal services, drawing on their extensive experience to craft the best results in the most efficient way.